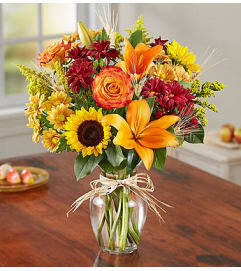 EXCLUSIVE Send joyful autumn smiles with a gift that’s simply gourd-geous! 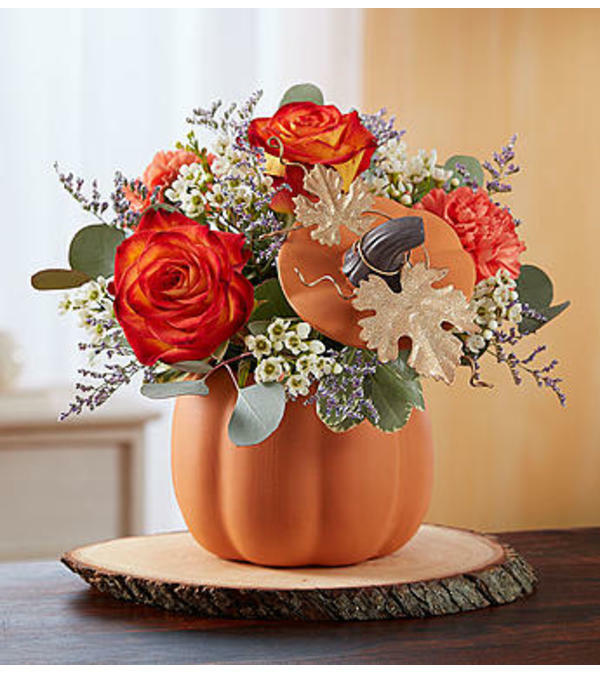 Our stunning display of seasonal orange and white blooms arrives inside our artful ceramic pumpkin container complete with lid and glittering gold, metallic leaf accents. 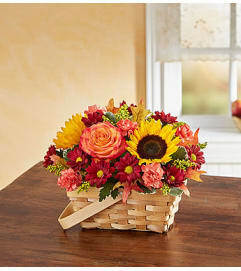 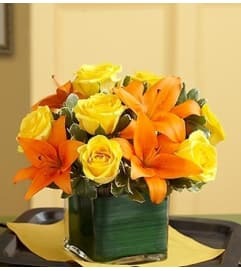 It’s a festive gift that can later be used to hold holiday treats, or simply to add a delightful touch of fall décor.